Enjoy watching Tegan Marie's "I Don't Know What Is" visualizer music video for her latest song . . .
Tegan Marie I Don’t Know What Is was released in 2019 as a single track. Tegan is the youngest female to sign to a major Country label (Warner Music Nashville) in 45 years and continues to wow audiences with her musical talents. The song is all about growing up in her hometown of Flint, Michigan. “I Don’t Know What Is” highlights some of Tegan’s favorite things about Country life in Michigan. Watch the visualizer music video and check out the lyrics below. 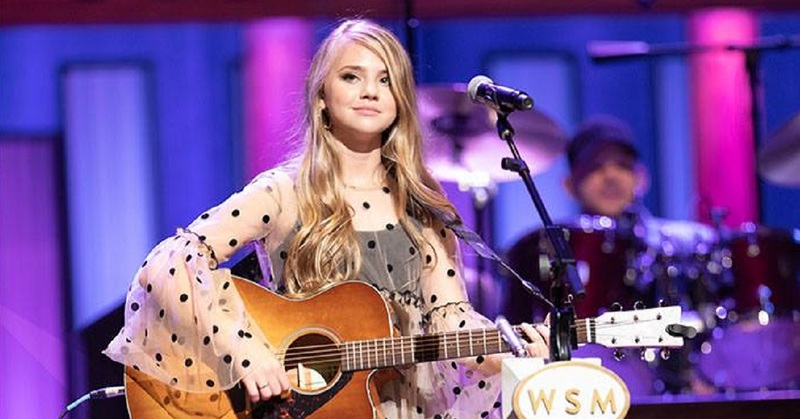 The 15-year-old rising Country Music star co-wrote the track alongside GRAMMY award-winner Nathan Chapman (Taylor Swift), Nelly Joy and Jason Reeves. Remember to “share” Tegan Marie I Don’t Know What Is with other Country Music fans.